I have always been a hands on type of guy. After being cooped up in an office for a while I need to get out and work on something. Last year about this time I had cabin fever and decided I was going to produce an online RV How-To TV series titled Mark’s RV Garage. Producing an online show was a major challenge, but to make things even more interesting I decided to take on a vintage travel trailer restoration as the feature segment for the series. My thoughts were it would make good viewing, and it was a project I could work on with my youngest son Tyler. My original intention was to produce about 8 episodes of the show for season one. As soon as we started working on the “Old Yellowstone” trailer I knew the 8 episode idea was out the window. 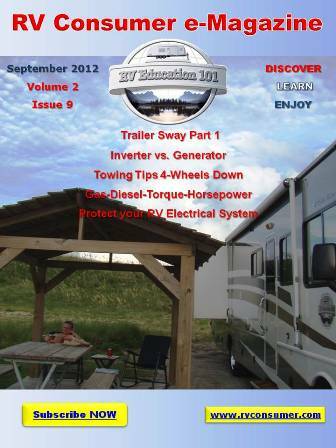 In addition to the vintage trailer restoration project the series also includes RV tips, RV hints, RV product reviews, RV videos, RV installations and general RV information. I am proud to say that Mark’s RV Garage was the recipient of a Telly Award. The Telly Awards honor the very best local, regional, and cable television commercials and programs, as well as the finest video and film productions, and work created for the Web. If you haven’t seen the series grab your favorite beverage, find a comfortable chair and watch how things unfolded. WARNING: Viewing these videos can be addictive for RV enthusiasts! Enjoy the award winning Mark’s RV Garage RV How-To series on DVD. RV Education Plus a Vintage Trailer Restoration Hosted by Mark, Dawn & Tyler Polk. 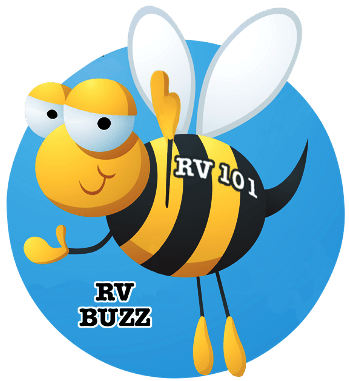 Mark’s RV Garage 17 episode award winning series is an entertaining and educational RV how-to series presented by RV Education 101. Host Mark Polk gives you an inside look into RV’s, RV Products, RV product installations, RV upgrades, RV destinations, RV Trivia, & much more. 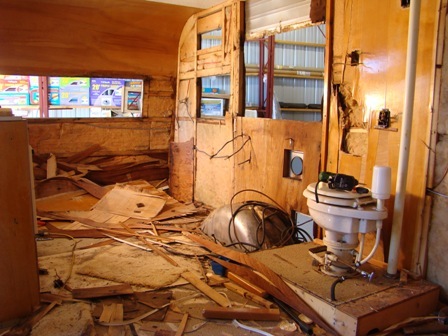 The highlight throughout the RV how-to series is a vintage trailer restoration project. Mark and his son Tyler decide a “fixer upper” project would be fun, but soon discover their project trailer would require more than a few weekends to complete. Follow the epic 7 month-long fun educational and entertaining journey as Mark and Tyler demo the vintage trailer down to the frame and then rebuild to its former glory. 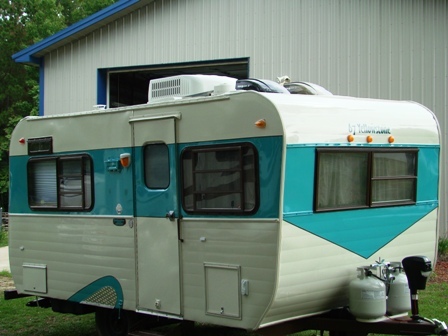 On each episode of Mark’s RV Garage you will have fun while learning more about your own RV. « What are these things called RVs?